Harold Larsen 41 Ford restyled by the Barris Shop around 1947. Ralph Adams owned it in the early 1950s then it went to the East Coast. Is it still around today? One of the fun things about collecting old Custom Car photos, info and scanned images and archiving all of that is that in a lot of cases at one point the puzzle pieces are falling in place. Sometimes completely from the birth of a custom car to a full restoration, or at least an other known end point. But in most cases puzzle pieces from the cars journey in time and in place while it changed hands over time. Its fun to come across photos and recognize a car in the back ground, or just find a photo of the car in an unusual place, or a photo that has been forgotten for many years. This article is about such a case. A very nicely done, rather mild, yet wild looking 1941 Ford Convertible created by the Barris Custom shop at their Compton Avenue shop during 1946-48. This journey started with just one picture from the Bart Bartoni Collection shared in the Don Montgomery Authentic Hot Rods book (published in 1994). This snapshot was taken in front of the Barris Compton Ave shop with the building in the back ground, also showing the front end of George Barris his personal 1942 Cadillac Convertible Custom. The ’41 Ford in the photo has 1948 plates. The car looks really fantastic with a heavy chopped windshield, flowing padded top, filled center grille, perfect stance with wide whites, Cadillac sombrero’s and fender skirts and Appleton Spotlight. 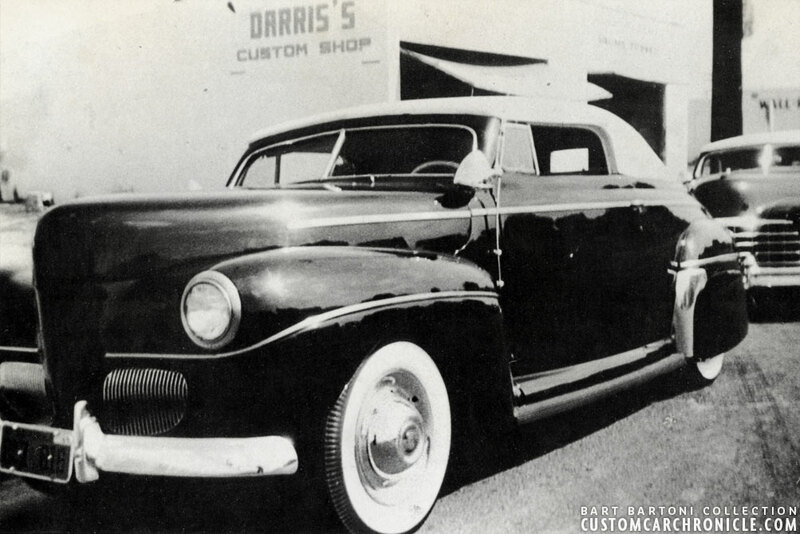 A perfect late 40’s Barris Custom. But the Montgomery book photo caption did not tell us anything about the car. No name of the owner, nothing. The first photo I came across of this car was in the Don Montgomery book. Bart Baroni Collection photo shows this beautiful early style 1941 Ford parked in front of the Barris Shop. 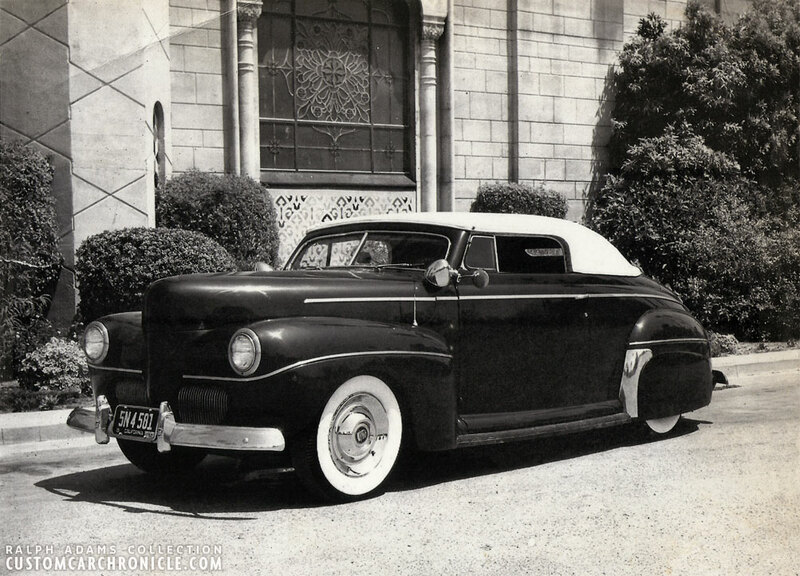 The Ford was beautifully restyled by the Barris Custom Shop, and besides its radical look, due to the heavy chop and flowing padded top it is a rather mild Custom. Bumper guard taillights from clear red lucite. Lowered with slight speed boat stance, wide whites and Cadillac Sombrero hubcaps. Unlike some other ’41 Fords restyled during the same period, Harold’s Ford still had stock headlights, stock fender trim, no molded in fenders, and stock running boards. Around 5 year later I received a message from Tony mr X38 from Australia who came across three great photos on the Ford Barn Message Board. A guy asked if anybody remembers his old 1941 Ford. I recognized the car immediately from the Montgomery book, and contacted the guy (Ralph Sacramento) by email. Ralph got back to me with three nice scans of the only photos he has of his old Custom… fantastic. And to make it even better he has a bit more information about the car. Ralph Adams traded the car with Bob Ruble in late 1951 and owned it for about two years. Bob Ruble had bought the car around 1950 from Harold Larsen who had the car built at the Barris Shop. 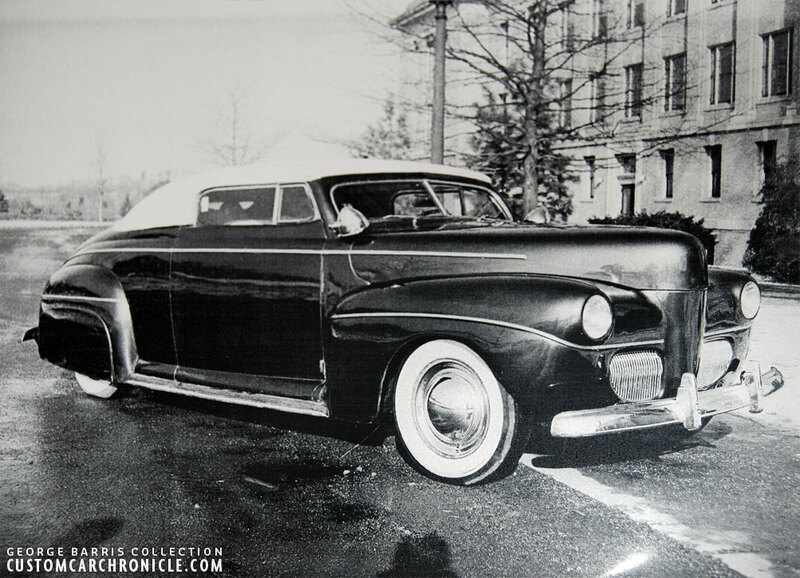 As far as Ralph remembers Bob Ruble never did any work on the car, so when he got it in 1951 it was just as how it looked when the Barris Shop had finished it. With one small exception, the cowl mounted antenna was replaced with a newer type and mounted on top of the drivers front fender. The holes were filled in with plugs, but not welded. Bob was from South Gate, California, and a few years older than Ralph, they both went to South Gate High School. Possibly the Ford when owned by Bob Rubble. The poor quality photo copied photo makes it hard to id the car 100%. But Bob knew Jack Stewart, who’s white primered ’41 Ford is parked in the street (inset photo), and all other elements seam to fit as well. Only the rock shields are hard to see, and if the original photo hopefully will surface one day, it might show us if this is actually the same car, or a similar styled convertible. The next photo that I came across possibly showing the car is from the Jack Stewart Collection. 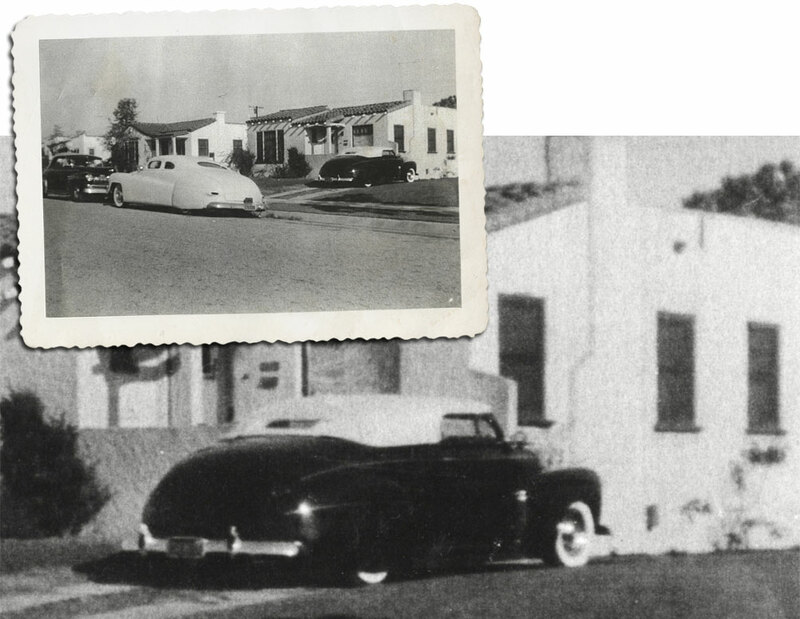 It shows Jack’s 1941 Ford Coupe parking in front of a house with the Bob Larsen ’41 Ford in the drive way. I asked Jack about the photo and the ’41 convertible in the photo, but he could not remember where the photo was taken, nor the name of the guy who owned the car. The photo is actually a rather poor photo copy and the detail is not really to good. The only think I cannot positively id is the rock shield on the rear fenders. It might be there, but perhaps not. All other details and info seam to match. The photo with Jack Stewart Ford in white primer was taken in 1951, at that time the convertible was owned by Bob Ruble. Sadly both Jack and Bob have passed, and so far nobody else has been been able to provide any more info about this photo. This and the next two photos were taken in 1952, when Ralph Adams owned the car. The photos were taken at the Angeles Abbey, a famous location where George Barris also shot a lot of cars. This side profile shows the really great proportions of the car. Notice the two studs where the antenna used to be on the cowl. A photo of the car might also have been used by the Barris Shop to promote their business at the 1951 Oakland Roadster show. You can read more about that in THIS CCC-article. When Bob Rubble was starting a family in 1951 he decided he needed to have a better family car. Ralph had a cherry well done 1937 Ford humpback sedan and traded the car with Bob for the’41 Convertible. During the time Bob had the car he never did any cosmetic work on the car other than replacing the hubcaps with ripple disks when the Caddy Sombrero hubcaps were missing one day. He did however install a built engine in the car with a Columbia rear axle, panhard rod, etc. He even took it to the Orange County Airport Dargs one day, but with only poor success. According to Ralph the engine put out so much torque that it twisted the U-joint apart. The car was just too heavy. Ralph later sold the car to some guys from the east coast who drove the car to the east coast. That was the last he ever heard about it. Rear quarter view shows the long ’41 fender skirts, the smoothed, not molded in rear fenders, the molded in later model splash pan and bumper guard taillights. The flow of the Padded top indicates this was the work of Bill Gaylord. 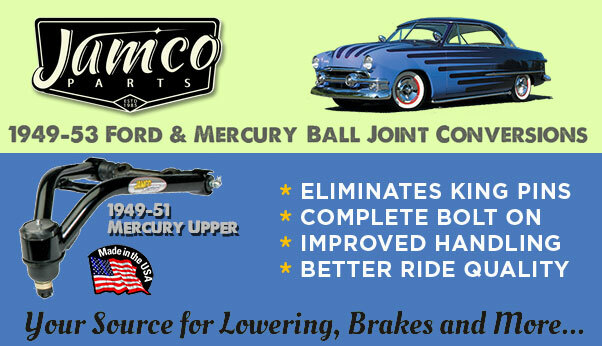 George Barris and Bill Gaylord had designed a better flowing top for the 41-48 Ford/Mercury’s together. With the stock headlights most of the trim and stock running boards still in place the car has a really nice mid 1940’s look and feel. The photo was taken in 1952 though. A little while ago I was checking something else and came across a photo I took at the Barris Shop a couple of years ago. I asked George Barris about the ’41 Ford in the photo, but he could not remember where he took the photo, nor who owned it. The photo did not have any writing on it. Upon close inspection The car in this photo might actually be the Harold Larsen ’41 Ford, and that might have been the reason why George took the photo. There was another photo of the same car, a frontal shot that shows a little more about the back ground and it is clearly not California, there is snow and everything else looks East Coast. So more than likely this is the same car after it had migrated to the East Coast. The basic car is still the same, but the headlights have been frenched, the door handles shaved and the stainless rock shields removed. All sound pretty much like an update by a new owner. I’am not 100% sure it is the same car though. 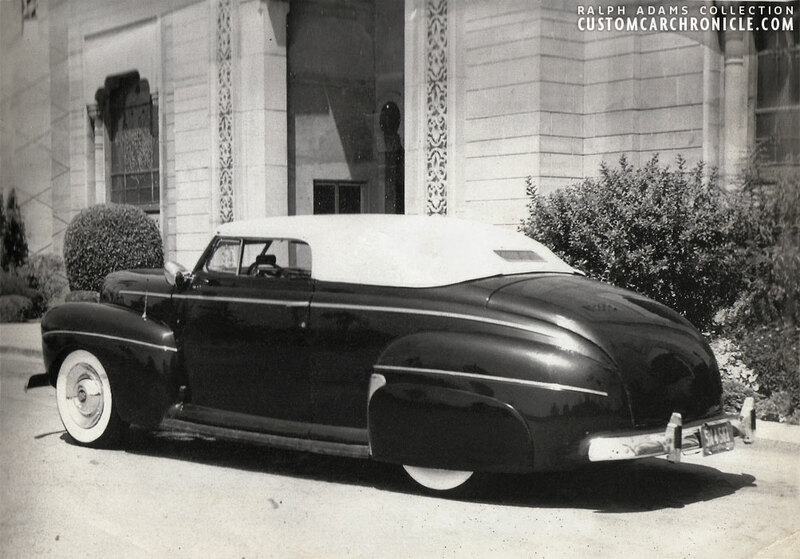 Especially since the Barris Shop created several similar styled ’41 Ford convertibles in the late 1940’s it could very well be another car, but at this moment everything does look like it is the same car. Perhaps the photo of the car together with the Jack Stewart Ford, and the last one from the East Coast might be two different cars, perhaps its wishful thinking they are all the same car. Hopefully in time I will be able to find out. 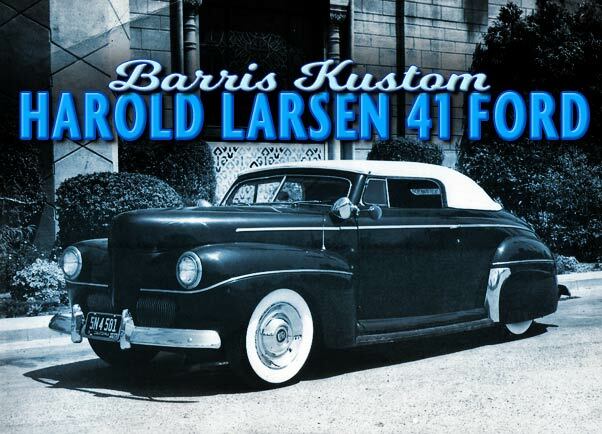 No matter what, Harold Larsen’s ’41 Ford is one stunning early restyled Barris Custom. The big question now is what ever happened to this car after it went East. Did it survive, was it perhaps further updated over the years, or perhaps still sitting in somebody’s garage, shed…. Or is it long gone. Hopefully one of our readers will recognize the car or anything about the story, and can shed some more light on this so that we can add all the puzzle pieces. 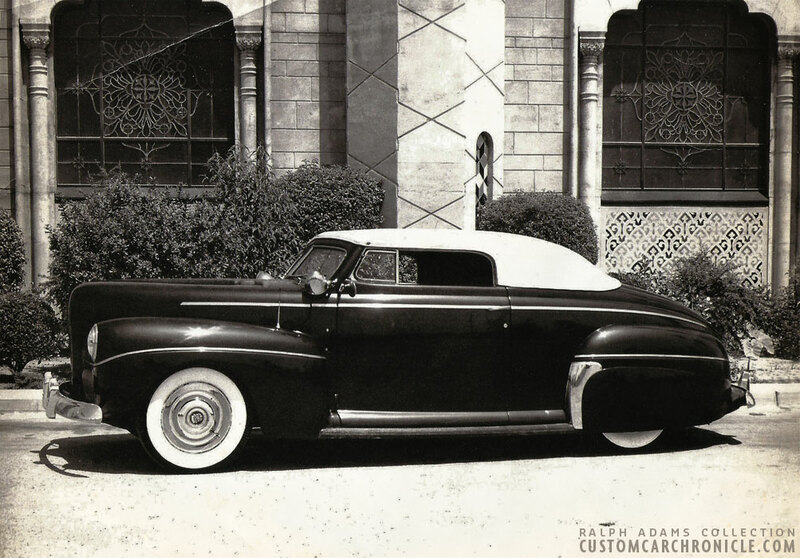 If you know more about this beautiful ’41 Barris Ford Convertible, and know what happened to it after 1953, then please email Rik so that we can update this article with the latest info. A great looking car. Hope someone knows what became of it .It amazes me that cars like this seem to disappear. One of my Favorite 41’s. Mild for sure but whats been done is very tasteful. I think that this car is a perfect example of how many custom cars looked in the time just after WW2 even though they may not have been featured in any of the magazines. Retaining some of the stock elements but adding to it as well. They most likely spent as much on the Gaylord top as on the work on rest of the car. 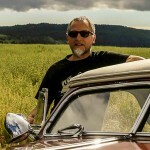 Barris may have taken the pic of the car on one of his trips back east because he recognized it as one of their builds? We may never know. Like Bob, I think it would be great if this car was still around. Bob and Torchie are right – A great looking car and a perfect example of how many customs looked at the time. I’m going to throw a “maybe not” at you Rik. The east coast pic looks like a car with, what looks to my eye, a 1/2 to 3/4 inch more chop to it..? I wonder too if you would remove door handles and rock guards, and french headlamps; then add the stainless running board trim? Just wondering out loud. Perhaps TWO really nice ’41 custom convertibles? That’d be cool too – right? Good stuff as usual Rik! I think that you are right Dave. The east coast car has a heavier chop plus the rear of the roof looks to have a different shape to it as well. As you state they are both very cool rides. Good points Dave… In fact it could even be three different cars. Perhaps all done by the Barris shop. Hopefully more and better photos will show up one day so we would know for sure. I have to point out that the East Coast photo was photographed on an angle, and I had to distord it to get it square again, so the dimensions might be off a bit on that photo.